What’s for dinner? A restaurant night event at a local dining spot gives parents an easy out for this question—plus it can build community and raise money for your group at the same time! 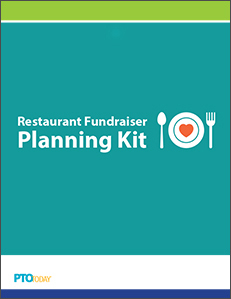 Our restaurant fundraiser planning kit will help your parent group hold a low-stress event. You can hold restaurant fundraisers once a year or once a month; either way, you’ll find the tools you need to plan and promote your event successfully, from soup to nuts. Download your restaurant fundraisers kit today and let someone else do the cooking. Still have questions? Call us at 800-644-3561, we’re here to help.